Our story began almost 20 years ago in the heart of Europe with our passion for interactive videos, VJ services and providing people with unforgettable experiences. Back then, we had just our passion to push the boundaries of the new world of real-time graphics. Today, we operate around the world with the same enthusiasm and only one goal in mind. To tell your story in a way that matters to people. We are always happy to see you personally whenever possible. Throughout the year there are several opportunities to meet with XLAB Realtime. We participate in conferences around the world and in the United States as well. Moreover, we host our own events especially in New York City and Prague where you can not only listen to our speakers and get the latest technology and industry updates but also have an opportunity to meet other similar businesses and get to know interesting people who always attend the events we organize. You will find the list of conferences and venues where you can get in touch with us personally below. It is updated on regular basis, so check back from time to time. We organize our own events and presentations for our clients but we are also available to come to you and provide insight into our services on your schedule. If you would like to schedule a private presentation, please GET IN TOUCH. 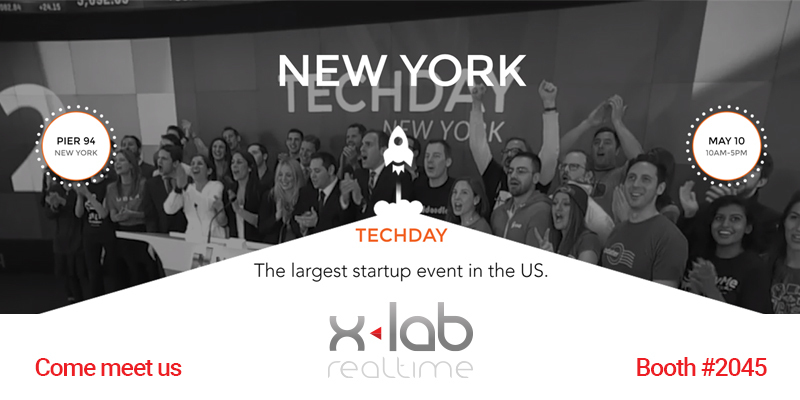 Come meet the production team of XLAB Realtime to a tech conference in New York City. You can get a free pass HERE by using code “ExhibitorVIP”. 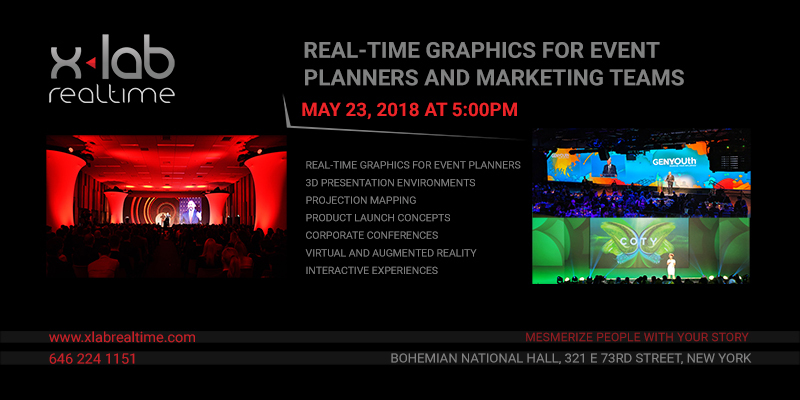 Meet the entire NYC production team of XLAB Realtime and learn how we can help you attract new customers and boost your revenue using cutting-edge presentation technologies. Meet other industry professionals and create the next generation portfolio for your customers.